As Resgrid has grown we’ve had some struggles keeping up with all the work and I’d like to apologize for that. I know it can be difficult getting ahold of us sometimes, but we are here and working on making Resgrid better for every department large and small. A quick recap of last year, this is my favorite part of the new year newsletter, we had 771 new departments sign up for Resgrid bringing our total to 2,909. All of you generated well over 300,000 data points in 2017 which was a 20% increase over the year before. Thank you all, and we are working hard to improving the Resgrid system, reducing bugs and increasing functionality. One of the projects we’ve been working on is brand new, called Resgrid Relay. Relay will allow any department to create calls (dispatches) via directly connected audio (i.e. 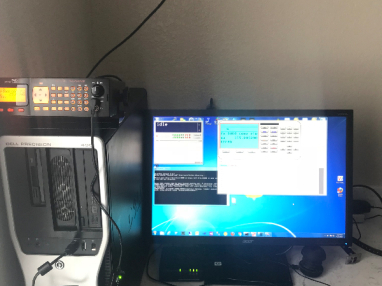 a radio scanner), an internet audio feed (i.e. Radio Reference) or other triggers, i.e. a new file on disk or a network share. This allows any department to utilize Resgrid for dispatching without involving the dispatch center, which we know can be painful. The best part? It’s all low cost, off the shelf hardware that you 100% control. Just needs to meet some minimum specifications and have an Internet connection. Resgrid Relay is an open-source project allowing anyone to see how it works and modify the code to meet your department’s needs. 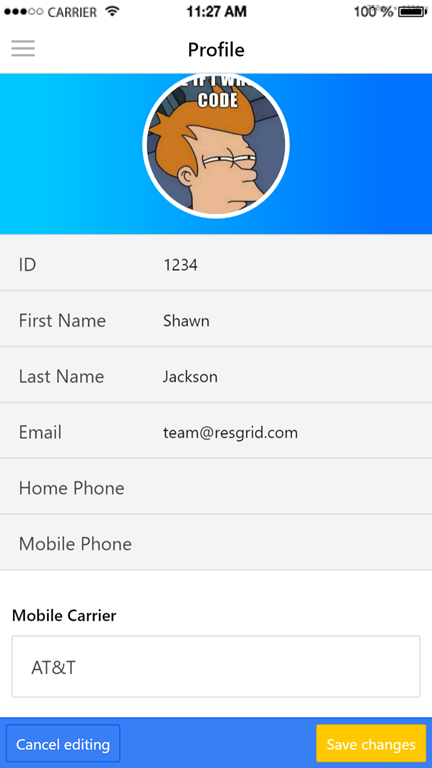 If you’re interested in testing out the new Resgrid Relay app for radio-based call creation please send an email to us to inquire. 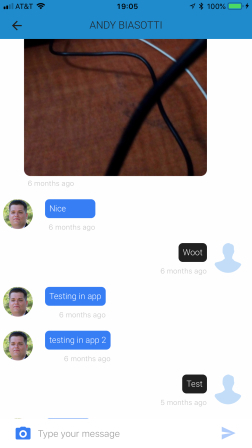 We want to have the beta app live soon so we can get feedback and adjust it. For the beta, you will need to have Windows 7 or newer PC with an Audio In port, internet connection and a scanner with an audio line out. Ever wanted to know if Resgrid was experiencing an issue? At the start of the year, we launched status.resgrid.com where we keep track and log all of our system issues and updates. We just recently hooked this up to our Facebook and Twitter feed as well. It’s your one-stop shop for system status information. We’ve been working since the start of the year on our complete overhaul of the Resgrid Unit app and are finally ready to push it out to the stores. There are some unique challenges with the Unit app and the conencted\disconnected scenarios it can operate under. For now, the Unit app will only support connected scenarios but we will be working to full offline soon. If you have any requests let us know and we will get them into the app within our next few releases. New Responder App updates started rolling out last week and we will have a few more 7.x updates here shortly. The goal is to fix all the remaining issues still around from the last overhaul and work on increasing the features you have access to in the Responder app. We will be working on expanding out the Chat feature and we are working on laying the foundation to add in two way, radio style, voice communication. Here at Resgrid it is our mission to deliver the latest technology to first responders all over the world. One of the most important pieces of information to any first responder (firefighter, emt, disaster relief worker, sar member, etc) is location. But location is one of the most difficult pieces of information to communicate and utilize. So when we saw what3words we instantly knew what this could do for first responders and started working on adding it to the Resgrid service. 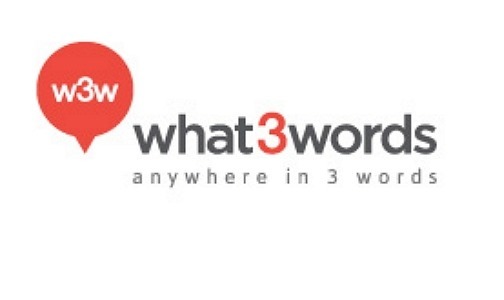 So what is what3words (w3w)? Well it’s a global addressing scheme utilizing 3 words in many languages to denote a 3m by 3m square. The power of w3w is that it is global, localized, easy to remember and unique. An addressing scheme that global allows first responders to get vital location information consistently regardless if your in downtown New York City or in the African Sahara. Initially we are rolling out w3w in our Dispatch system, allowing dispatchers to create a call with a what3words address and dispatch personnel to that location. After that initial rollout we will look to expand integration down to our mobile apps (Responder, Unit and Incident Command) allowing for searching for w3w address, viewing address information and showing the 3m by 3m grid box. what3words is going to play an important part to our global addressing capability, in addition to it will Resgrid better support rural addressing and extend our location capability to areas not served well by Google, Microsoft and other mapping\location providers. Don’t wait, signup your first responder department today, it’s fast and free. 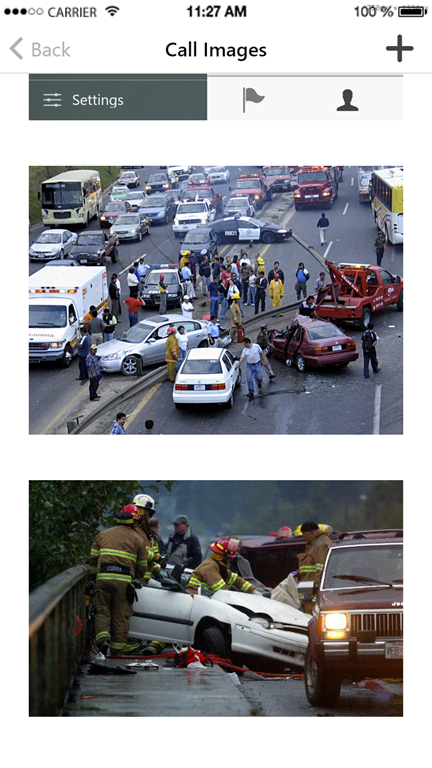 You’ll join thousands of first responder (Fire, EMS, SAR, Public Safety, CERT, etc) worldwide currently using Resgrid. 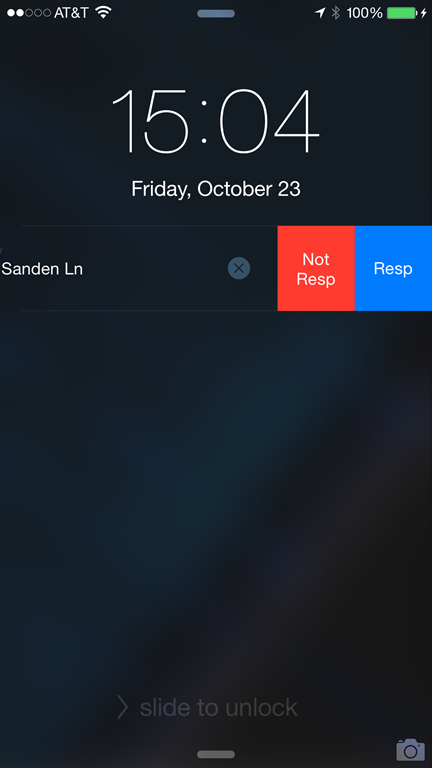 We are happy to announce that the next version of the Resgrid Responder App (4.3) will feature support for Interactive Push Notifications and will also support 3D/Force touch for iPhone 6s and 6s Plus. These features allow your personnel to show they are responding quickly without ever opening the app, or in most cases even unlocking their phone. Currently we only support the default Responding/Not Responding and do not support Custom Statues. If your department is currently using Custom Statuses you will still be able to take advantage of Interactive Push’s and 3D Touch, but personnel using those features will show up as Responding/Not Responding instead of your custom ones. The next revision of this system will allow you to designate up to 4 statuses you want actionable on Interactive Push’s and 3D Touch. One of Resgrid’s primary goals when it was founded was to provide the latest technology to first responders as it becomes available. This is just one of the way we are fulfilling that promise. Soon we will be working on exposing the Responder App via wearables like the Apple Watch and Android Gear devices, and exposing our apps on the most widely available platforms to give you ultimate flexibility. 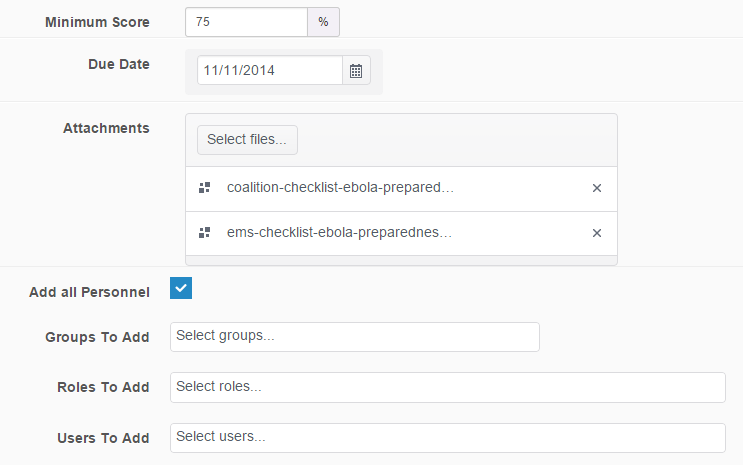 We are rolling out a major update to our Resgrid Responder application. 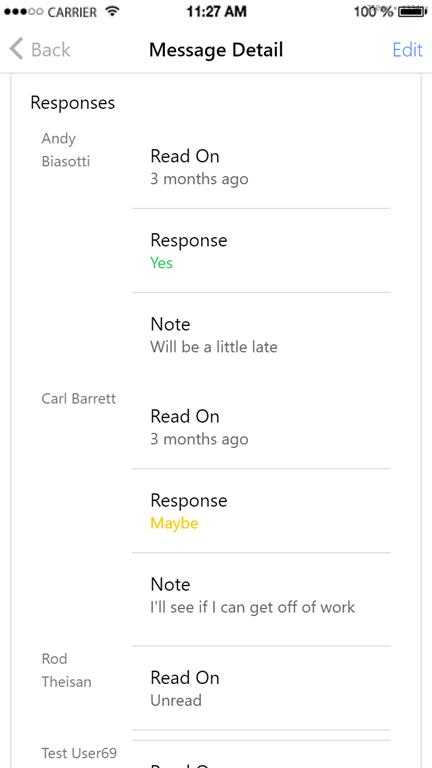 In this update we made major changes to the calls system for the Responder app. 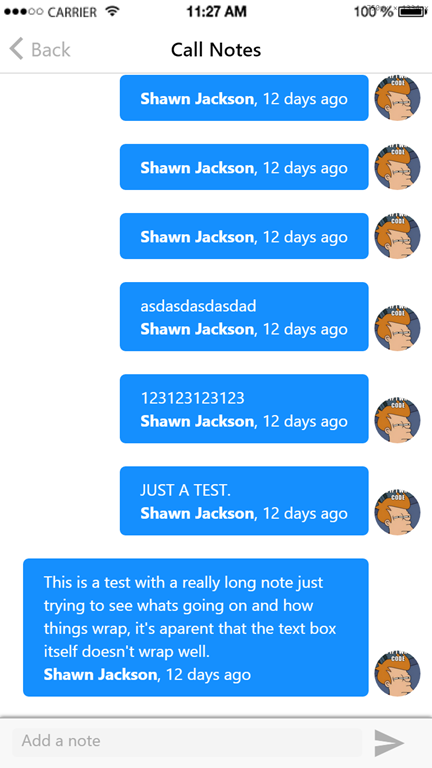 In addition we updates Messages, Push Notification sounds, Notes and fixed a number of bugs. We also improved the stability and performance of the application, especially on Android devices, and verified support of iOS 9. In this release we made major changes to how personnel and first responders can interact with calls. Now images can be uploaded and viewed by personnel in the field, notes can be added to the call and shared with all personnel and files can be attached to the call and viewed on mobile devices. This gives your mobile/remote personnel unprecedented commination with each other and with command/dispatch. Features like these are especially valuable to Search and Rescue, CERT, Disaster Response/Relief and Public Safety. But very useful to the fire service as well, to share visual size up information in the form of pictures, help capture and share important scene details for latter records and much more. You can now also edit basic call information from the Response App. Allowing you can change the name, nature and address of the call on the go. This feature is very useful to departments that import their dispatches from a CAD (Computer Aided Dispatch) system that come with default call names. In addition to large scale changes to calls we have enhanced the messages component of the Responder App giving you an outbox view to view the result of Poll and Callbacks. 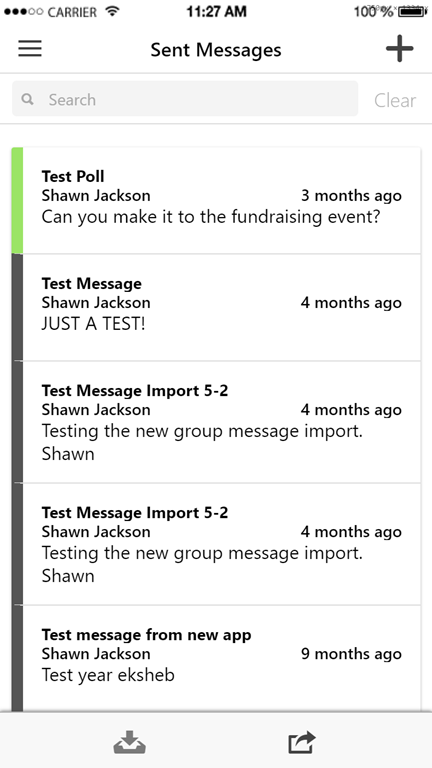 Clicking on a Poll or Callback in the Message Outbox will allow you to see the responses from personnel you sent the Message, Poll or Callback to. You can then see how many people responded, when and their note. You’ve asked and we’ve listened, as we tend to do that. 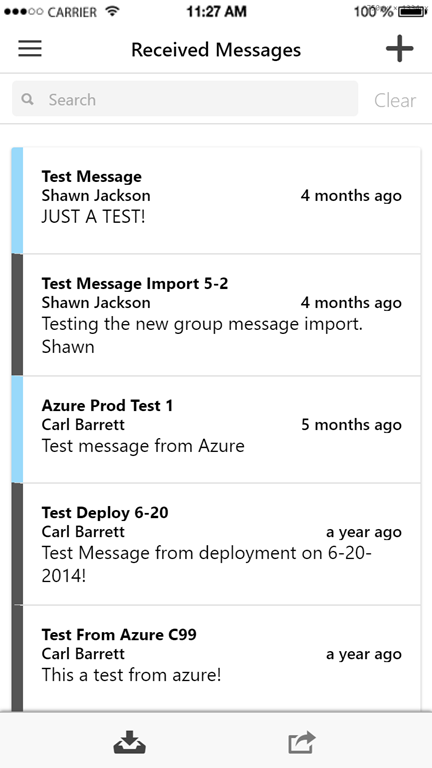 Resgrid now has distinct and very attention grabbing push notifications sounds for Calls, Messages and Notifications. Each level of call (Emergency, High, Medium and Low) also have a distinct sound to them. Of course these sounds can be enabled and disabled from the settings screen. If you disable custom sounds your push notifications will instead play 3 distinct beeps. In the future we will be working on allow departments to override our custom push notification sounds with their own. In this release we also updated the menu, giving it a frosted glass look and adding a profile view. If you click on your name in the top of the menu you will go to your profile. From there you can edit some basic information (i.e. you phone numbers, cell carrier and notification preferences). Your personnel can now check and modify their basic Resgrid contact information without having to use the website. 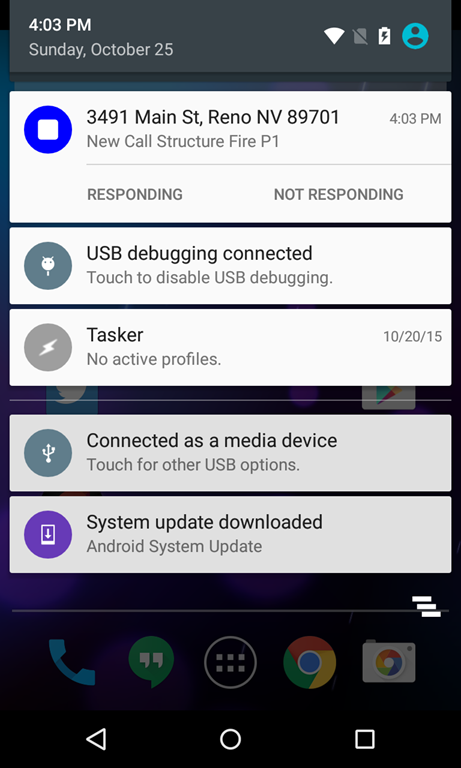 Allowing quick adjustments to notification preferences from anywhere. We will be rolling the Responder App v4 app out to Android, iOS, Windows Phone, Amazon and Blackberry over the next couple of weeks (starting 9/11/2015). 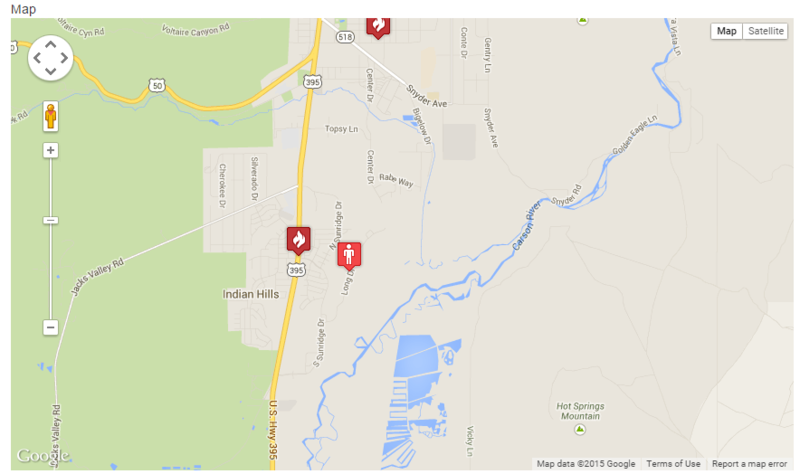 Resgrid is used by thousands of public and private first responders the world over. Every week we add new features and fix bugs to support fire departments, VFD’s, Search and Rescue (SAR), Sheriff’s, Public Safety, Community Emergency Response Teams (CERT), HAZMAT, disaster relief/response and much more. We aren’t just a service provider, we are a technology partner our customers can rely on to empower their first responders. Today Resgrid is happy to announce that responding Personnel are now shown in the Big Board Map and that Personnel ETA’s are now shown in the Dashboard and BigBoard. On the BigBoard personnel who are responding to a call are show in light red and personnel responding to a station are shown in blue. This is our first iteration on these features and we will be working hard on them in the next couple of months. 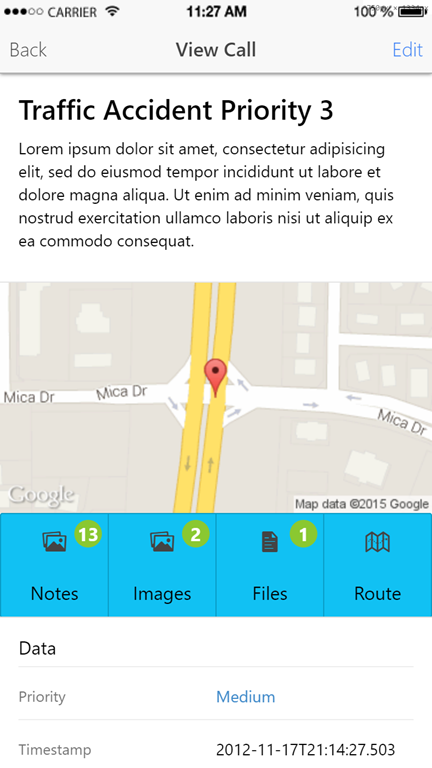 Additionally in our next update of the Responder App you will start seeing ETA’s in there as well. ETA’s are generated by Google and take into account current driving conditions and other factors to give a fairly accurate estimate. Resgrid will show you the time in seconds and minutes, so you will know if your personnel are 30 seconds out or 5 minutes. We also worked hard to ensure this feature works with your departments custom statuses. So if you’ve defined custom resposnes with details of Respond to Station or Call we will pick those up for ETA and display on the Big Board. Only Responding to Station or Call personnel will have ETA’s calculated (as we can determine where they are going) the same goes for custom statuses (where you have the detail set to station or call). Personnel in any response state (Generic Responding, Reponding to Station and Responding to Call) will show up in the big board. As mentioned d earlier personnel in a Responding or Responding to Call state are shown on the map as a Red Person maker. While personnel responding to a station are shown in a Blue Person marker. This allows you to easily eyeball personnel on your map and determine who’s coming to you and about how far our they are. These have been some of Resgrid most requested features over the last year and we’ve been working hard behind the scenes ensuring that the system was capable and ready for this support. We will be rolling these features out to our mobile apps as well over the next little while so you can continue to enjoy Resgrid’s cutting edge features on the go. If you have any feedback for us, requests or issues our door is always open. Resgrid is a cloud service that provides logistics and communications tools to first responders like volunteer and career fire departments, search and rescue, emergency medical services, public safety, CERT and disaster response. Resgrid is the only service out there giving first responders full cycle control over their departments, personnel, apparatuses and incidents. If you’re a mobile / field worker, and are tired of getting hauled across town to jobs, when there are others nearer by, you might want to point your senior in the direction of Google Maps Coordinate. Sounding like a blend of Latitude, Maps and Google + (Circles,) it’s a web tool and mobile app that should help central operations organize their teams out in the field. Of course there’s the usual location sharing, plus options for recording and collecting (user defined) data, allocating staff to teams or groups, job and task allocation plus history for analytics. On the plus side? Resgrid can perform all those functions and much more for your mobile / field work force. Resgrid is currently being used by many first responder organizations but many private businesses also use the service to meet these needs. 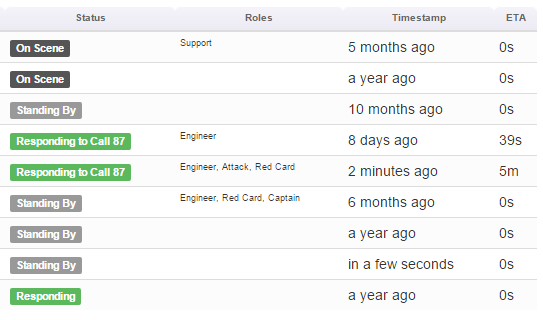 With our upcoming Custom Statuses feature every organization can create their own statuses for personnel and units. For example “On Break, On Location, Picking Up\Dropping Off, etc”. Check out Resgrid today and start using it for free. Today Resgrid is one of Microsoft’s featured BizSpark Startups, this is an amazing achievement for a us and our customers. Resgrid is a SaaS (Software as a Service) platform for first responders (fire, police, ems, search and rescue, disaster response, etc) that allows them to coordinate personnel, vehicles, work, emergencies and much more. Utilizing Microsoft’s Azure Resgrid is able to grow and scale all over the world while keeping our costs low. This is important for us as we want to ensure Resgrid is cost effective for first responder organizations of all sizes. Resgrid’s use of Azure also ensures the utmost level of security and safety of your data. Microsoft’s Azure is independently vetted to ensure it’s meeting the most strict security standards. Azure also has data centers all over the world. In the near future you will be able to utilize Resgrid in data centers in many locations: Northern Europe, US East Coast, Australia and more. This is just the start for Resgrid. In a little over 2 years we have gone from a very simple product with 2 buttons, to the only full-cycle cloud based logistics, management and communication tool for first responders and we are not stopping there. Resgrid will continue to evolve and innovate, giving our existing customers access to the latest and greatest technology while brining Resgrid to new customers the world over. When sign up for Resgrid your organization isn’t just buying a service, it’s gaining a partner. Our customers directly impact what we do and it’s not just bug fixes, we push out a major feature every month, and dozens of small additions and bug fixes. Need a feature or a change, just ask and we will work it in and grow with you. 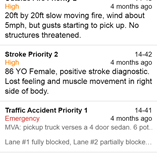 This week we will start rolling out our v3 update for our Responder app to the Apple and Google Play app stores. This v3 update is a huge deal for us. Not only is it the 3rd major version of our premier mobile app it’s also our 2nd major revision utilizing Cordova and our fist utilizing the Ionic framework. Lets have some background. Resgrid is a software as a service system that provides apps and services for first responders (volunteer and career fire department, EMS, search and rescue, public safety, disaster response, etc). We are first responders ourselves and we love writing software and services for first responders. But they demand a lot from their software and services, it has to work and it has to work fast! For us this was one of the biggest draws to using Ionic, having a blazing fast UI framework built on top of Angular which lends itself well to testing totally a win-win. We will start rolling out the v3 update of this app within the next week. Android will be first then iOS, Windows Phone and Amazon. If you have any questions or issue please contact us, we are always here to help. 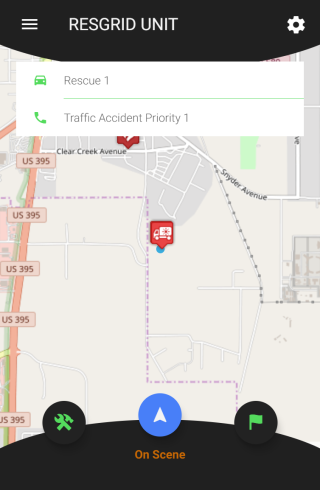 In addition to the Responder V3 app update, we recently released telephone based dispatching. If you have personnel that don’t have cell phones, or cell phones that cannot support even text messages Resgrid can call their home phone number and mobile number and relay a short dispatch. 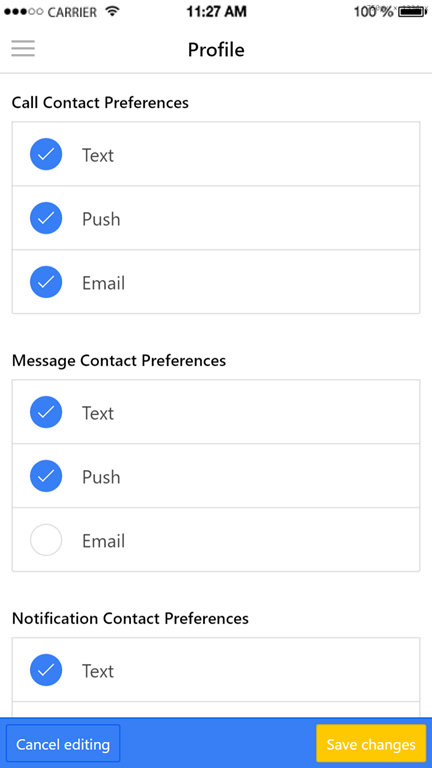 With this new feature Resgrid now supports 4 independent mechanisms for communicating to your personnel (Text Messages, Push Notifications, Email and Telephone Calls). No more missing calls because the pager is off or the mobile phone was turned off or on silent. Voice dispatching is included with the Ultimate and Enterprise plans. Long gone are the days where we can just post new procedures, trainings, SOP’s, etc on a memo board, or email them out to our personnel. Personnel not following policies and procedures can open departments and organizations up to liability, not to mention the life safety concerns that that the personnel is exposing themselves to. In this day and age Leadership and Training need to know that personnel and reading and understanding what’s being sent out. In the days of Ebola and Enterovirus we at Resgrid realized this need and how difficult it is for larger departments and departments with dispersed personnel. I’m pleased to announce that Resgrid worked hard to get a new training system out as quickly as we could to help departments using Resgrid send out trainings and couple those with Quiz’s that personnel take to ensure they consumed and understood the material. This is only the first version of the Training System, we will be evolving and adding to the system over the next little while, but right now it’s in a place where you can post your trainings, personnel can consume them and get quizzed. 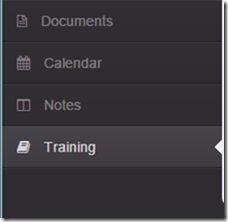 The Training System is now accessible via a main level menu item on the Resgrid sidebar. Clicking on that menu item will expose the Training List. If you’re a department admin you can create new trainings. 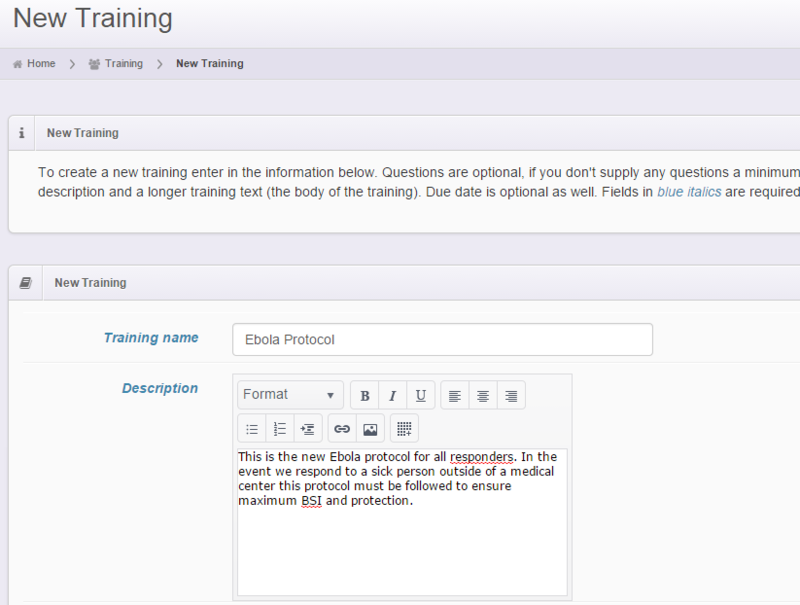 Your personnel can see active trainings and in the Actions column view the trainings they have not completed. Once personnel have viewed a training that will be logged and time stamped so you know that they looked at the training material. The training text is the body of the training, this can be links to outside resources or total text from a word document or typed right in. At the bottom of the training view personnel can view any attachments and if there are quiz questions they can take the quiz. 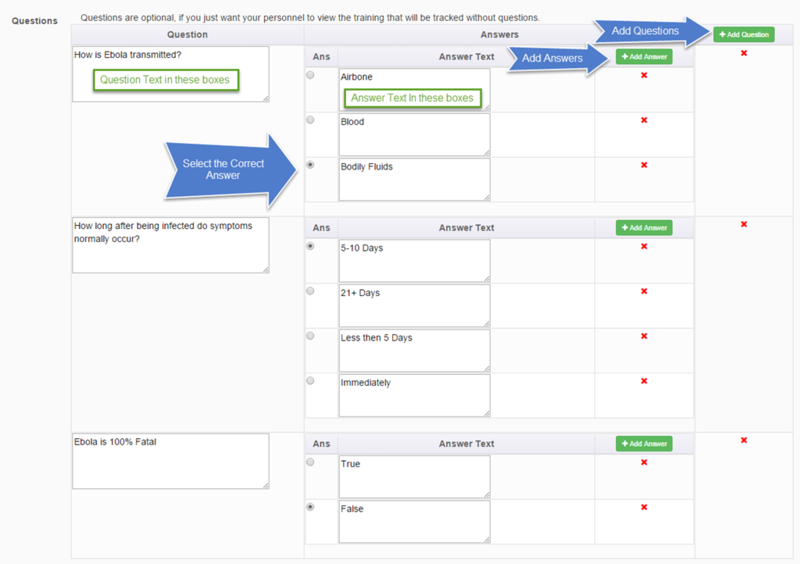 The quiz is a multi-step wizard with one question per step, this allows personnel to focus on one question at a time with the ability to go back and change their answers on previous questions before they submit. Once your personnel complete the quiz their status is shown in the Training list, green box they passed, red box they failed. 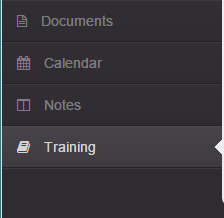 To Create a new Training, if you’re a department admin, click the “New Training” button on the Training List. 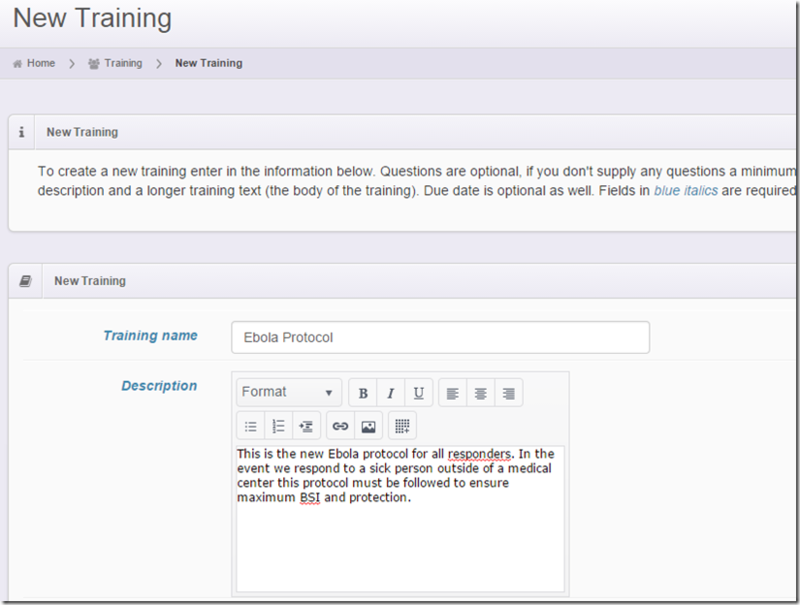 You need to specify the Training Name, Short Description and the Training Text. Once you specify that information you can attachment multiple documents (doc’s, pdf’s, power points, images, etc). If your going to add quiz questions specify a minimum passing score percentage. Due dates for training allow for reminders to be sent out to personnel. Next you can specify all the personnel who need to take this training, for example you can send all personnel, or just select groups, roles or users. You can add as many questions and answers as you want. To add a question click the “Add Question” button at the top of the table. Once you’ve added a question you need to add at least one answer for it. You can add answers for a question by clicking the “Add Answer” button that is part of the question. You need to also select a correct answer so select the radio button to the left of the answer to mark that answer as the correct one. Your department admins can then keep tabs on who viewed and completed the training and who passed the quiz. We will be working to enhance, add features and polish the training system in the near future, but we felt it was important to get this system out to our departments to ensure they have the latest tools to ensure their personnel are informed and knowledgeable about protocol changes and other import training and safety information. 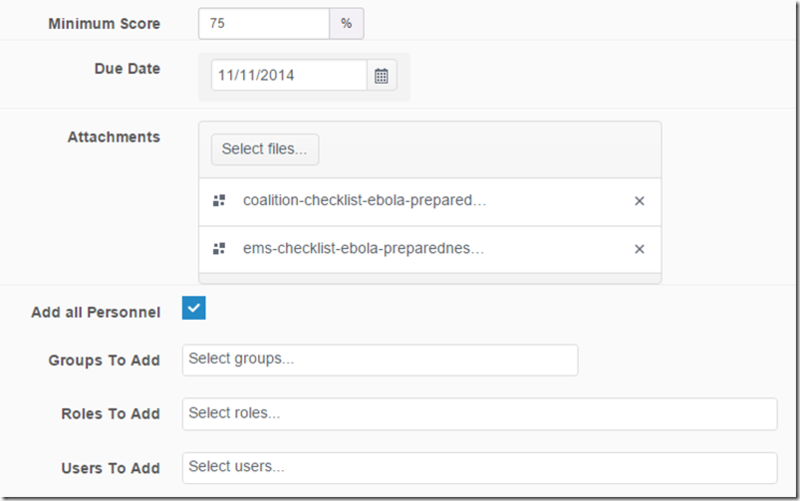 On 10/18 we launched Resgrid Personnel Shifts Beta. With this launch departments can create shifts, assign those shifts days that the shift is on, assign the groups and roles needed to be filled by personnel for the shift and finally the ability to assign personnel to the shift. This is the first version of the shifts system, soon we will be adding shift readiness reports, open signups, shift approval and more. We are excited because this feature will help support full time, part time, paid on call and volunteer departments. You will now see a high level sidebar option for the Shifts system. This will bring you to the Shifts homepage with the grid listing the shifts and a shift calendar below it. The shifts grid will show you important information about each shift, how many groups (stations) are a part of it and the number of personnel that are in the shift. A shift schedule of “Manual” denotes that shift days were selected on a calendar and not automatically generated. Shifts come in 2 types, Assigned and Signup. If the type is assigned that means that when the shift is created personnel are assigned to it. If the type is Signup that means personnel in your department select and signup for the shifts they want. 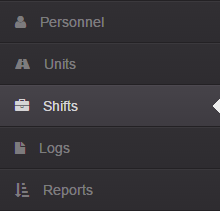 If you’re a department admin you can create a new shift by clicking the “Add New Shift” button and clicking the blue gear button you can edit the shift details, edit shift groups and roles, edit the shifts days (if a manual shift) and delete the shift. Your shifts will show up on the calendar below the grid. To create a new shift click the “Add New Shift” button and you will go to the New Shift Wizard. 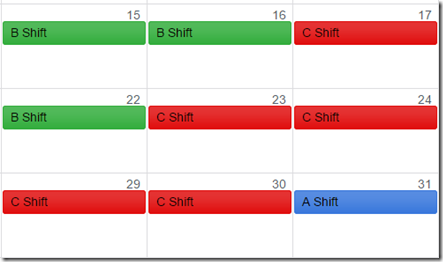 On the first page specify your shifts name, code and a color you want to use to represent it on the calendar. Click the “Next” button in the lower right hand corner to continue. The next page will allow you to specific the days that this shift will be on. You need to specify the start time of the shift at the top. Clicking on a day will highlight/select it, and you can see that by a blue border around the day. You can deselect a day by selecting that day again. 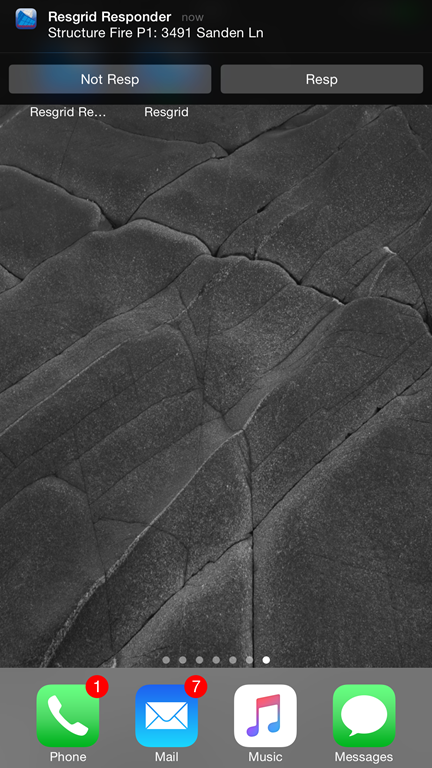 Click next at the bottom right of the page to continue. On the groups page you can specific which groups are part of the shift (i.e. stations) and the personnel roles that are needed for the shift. For example you have a structure engine at station 1, you need 4 attack firefighters, 1 captain and 1 engineer. 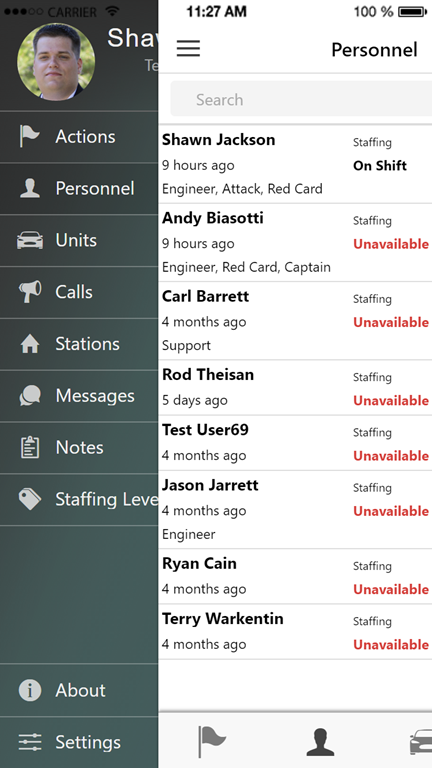 This will allow your captains and admins to analyze if a shift is being properly staffed. You can add groups to the shift by clicking on the “Add Group to Shift” button in the upper right hand corner. To add roles to a group click the “Add Role to Group” button in the middle for the group you want to add the role to. On the personnel page you can specify what personnel are part of this shift. These personnel will be notified 24 hours beforehand when the shift is going to start to ensure that all your personnel know about their shift start times. Clicking the Next button and the Finish button will create the shift. 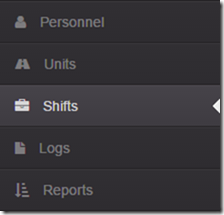 We will be updating and expanding the shifts system over the next little bit to add features and capabilities. Stay tuned for more information of feel free to contact us at team@resgrid.com if you have any questions, problems or feature requests.